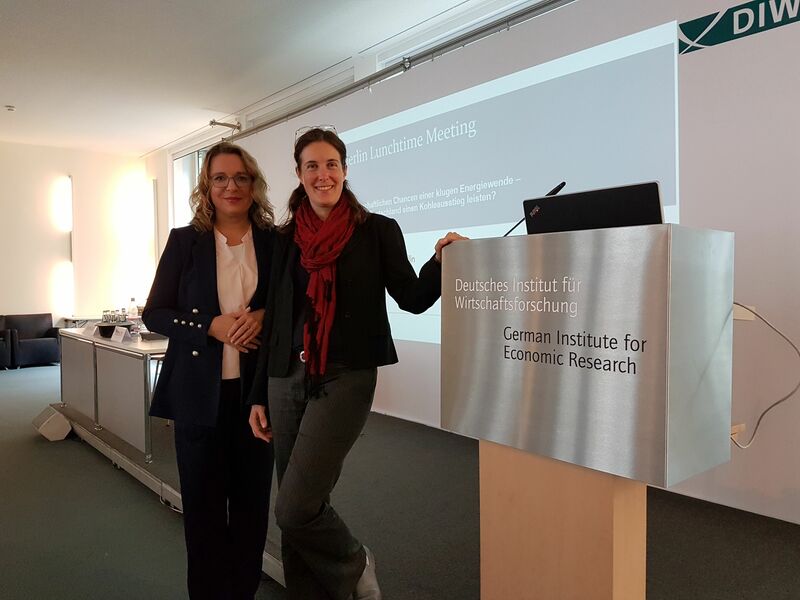 If and how Germany can afford the coal phase-out was the subject of the presentation by Prof. Dr. Claudia Kemfert at an event, which took place on the heels of the first meeting of the new German task force for phasing out coal power. 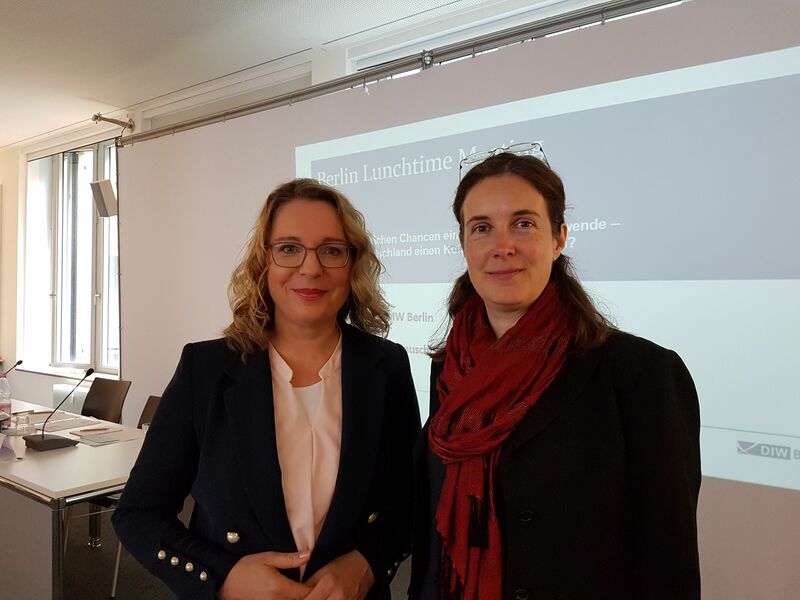 Co-hosted by the DIW Berlin and the OECD Berlin, Dr. Camilla Bausch of Ecologic Institute discussed with Prof. Kemfert and the audience the broad range of relevant questions. The debate addressed questions of future economic challenges to coal in the face of rising emissions trading prices and the falling cost for renewable energy as well as potential challenges arising from a parallel coal and nuclear phase-out with respect to security of supply. When discussing specific aspects of structural change in the Lausitz region, experiences of the past, in other regions, and the order of shutting down certain plants was addressed as well as the question of future jobs (controversially e.g. regarding the sectors of e-mobility and batteries) and necessary infrastructure investments. The issues are highly relevant as Germany’s carbon dioxide emissions are not in line with the respective pathways to meet German emission reduction targets. While Germany’s share of renewable electricity has already surpassed the 35 per cent required to meet the 2020 goal, there is still no adequate plan in place to deal with the significant gap between actual carbon dioxide emissions and the respective targets. There is a general understanding that addressing emissions from coal power production will be key for a successful climate protection policy in Germany. This is why the government established the "Commission on Growth, Structural Change and Employment" – called "coal-exit commission" by some – to find generally acceptable solutions and timelines for such a coal phase-out. The event was a part of the Lunchtime Meeting series organized by the DIW. The Climate Conference in Paris – and Then What? BMU News: Commission "Growth, Structural Change and Employment"